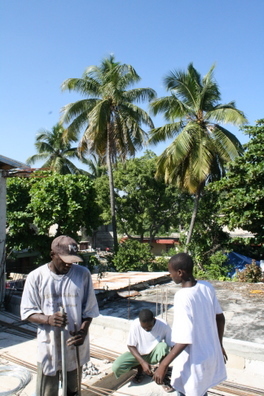 January 12th 2011 is the one year anniversary of the earthquake that transformed so many lives in Haiti. In response to the continued despair and depression that exists among Haitians we felt led to organize a special celebration at our local sports center in Carrefour, Haiti. The event is called "Celebrate Jesus: Source of Life" and will last for three days starting on January 12th. 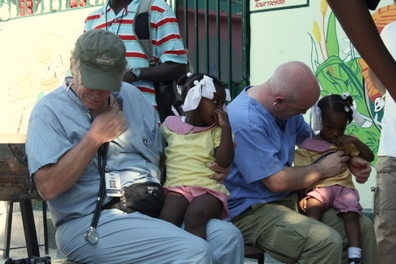 It is our goal to administer healing, deliverance, and restoration to the people of Haiti through the power of Jesus Christ. The three evenings of the event will focus on thanksgiving and praise, repentance and forgiveness, and inner healing and restoration respectively. We give praise to God that the first night was a huge success. Initial estimates indicate that there were around 50,000 people in attendance. Starting at 4:00pm the people gathered for praise and worship and at 4:53pm, the exact time the earthquake struck a year ago, the entire crowd cast off despair and shouted for joy. 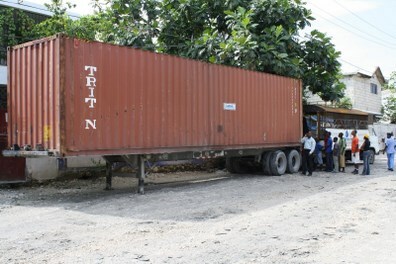 At long last the second shipment of supplies sent from KLM International have cleared customs in Haiti and have been delivered to our campus in Carrefour, Haiti. 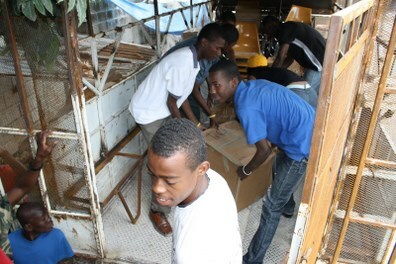 Among them were office computers, printers, furniture and computers for the Jubilee Christian Academy computer lab. 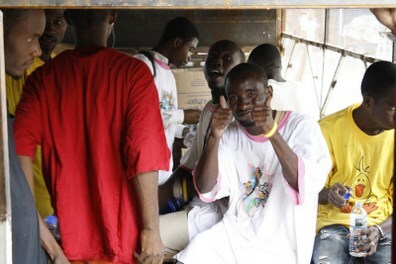 There were also clothes and bottled water, which will be distributed to those in need. 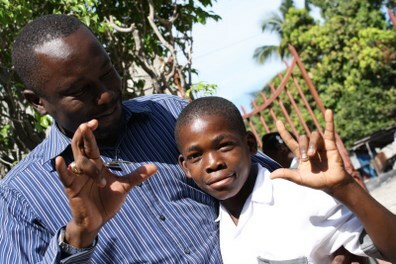 At present there are 30 students who attend Jubilee Educational Center for the Deaf at our school in Carrefour, Haiti. 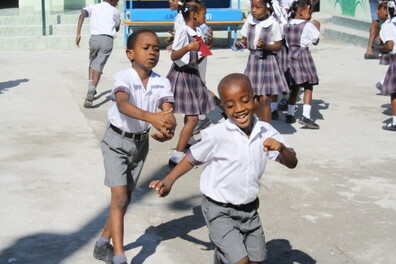 There are an estimated 100,000 deaf people living in Haiti with only three schools suited to their needs. At present the only students who attend our school are those who live nearby. Because there are no readily available services to assist the handicapped community, long distance travel is nearly impossible for a deaf person to do alone. With this in mind, it is our hope to build a dormitory for our deaf students so that they can come from all over the island. 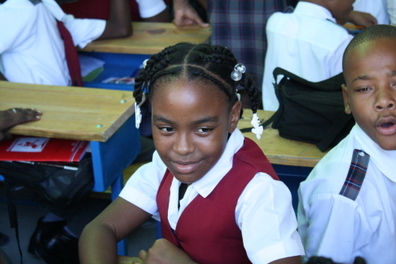 We estimate that at least 100 students will be able to attend our school as soon as we have a dorm to house them. We have found a piece of land near our school where we can build the dorm. It is 100 feet by 150 feet and will cost $60,000 to purchase. 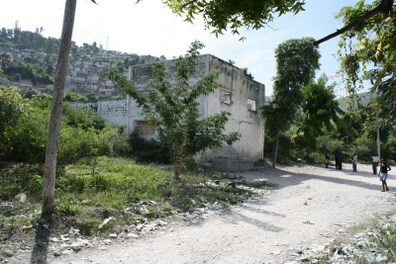 If you would like to help purchase this land so we can build a dorm, please click HERE and give to our Building Fund. Students at Jubilee Educational Center for the Deaf Signing "I Love You"
Global Aid Network of Canada partnered with Shabach Ministries International for two weeks to provide free medical care for people in Carrefour. 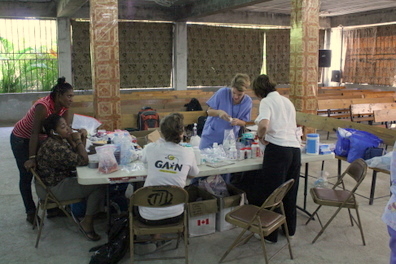 GAIN sent doctors, nurses, and supplies while Shabach provided the location, translators, and spread the word throughout the community. 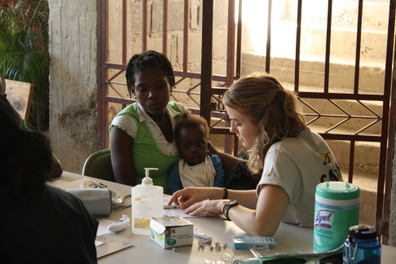 For two weeks a steady stream of people seeking medical attention flowed through Shabach's main headquarters in Carrefour. 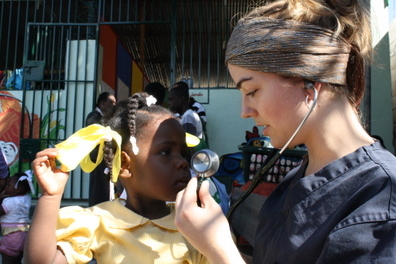 On one of the days the GAIN volunteers provided check-ups for the students at Jubilee Christian Academy. 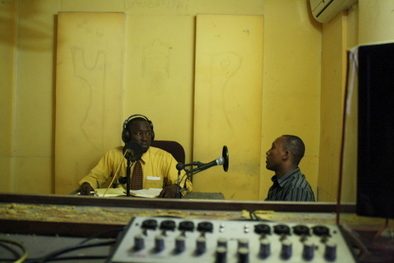 Radio Reveil continues to grow. 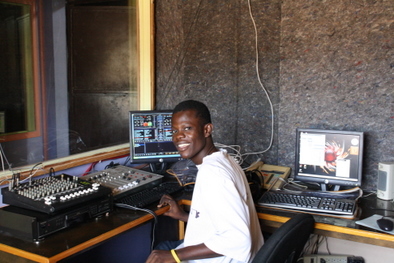 The station building has been repaired and is broadcasting 24/7 on two FM frequencies in Haiti: 89.3 and 89.9. 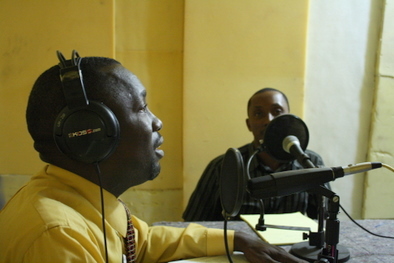 This covers most of southern Haiti, but our goal is to cover the entire island. 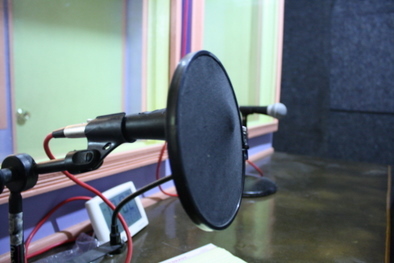 We continue to seek God for more equipment and the land to place broadcasting towers. 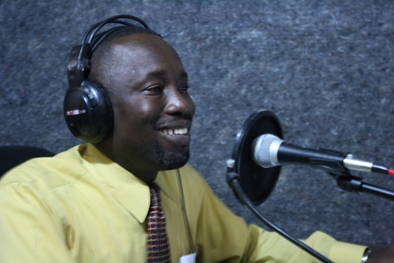 We hear frequent reports that Radio Reveil is impacting the nation, and it is not uncommon for members of the community, all the way up to government officials, to call with questions for Dr. Jean after hearing a radio seminar. 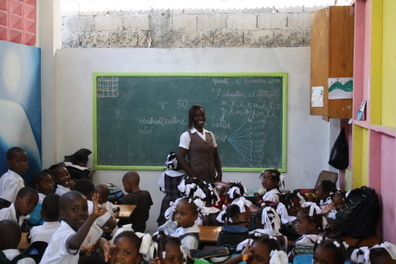 School is in full swing and every classroom is full. Despite setbacks from the earthquake, this year has seen our highest enrollment levels ever, and we are ready for the challenge. To accomodate the growing student body, Jubilee Christian Academy added a second story above the school administration building for senior high classes. The only portion of this construction phase left to be finished is the cafeteria, and it is currently underway. The concrete roof will soon be poured into the the wood forms. The next phase will involve adding a second story to the classrooms using a steel floor system. We praise God that in only nine months since the earthquake we have been able to build and equip a new school for grades Kindergarten through 13th. 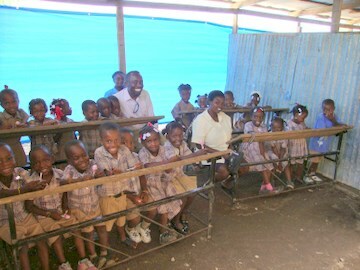 Haitian Schools are currently on a belated summer break. 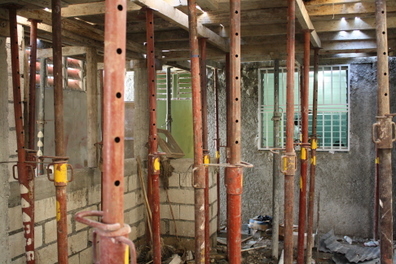 The earthquake left most schools damaged and none resumed until April. Because of those lost three months, school continued through the summer until mid August. There is now a short break and classes will resume this October. 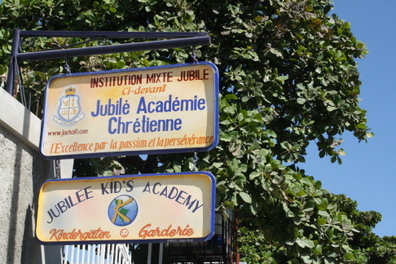 During the break some much needed updates were made to Jubilee Christian Academy's new campus. We have also been able to begin reconstruction of our church in Desarme. The previous building was in terrible physical condition. 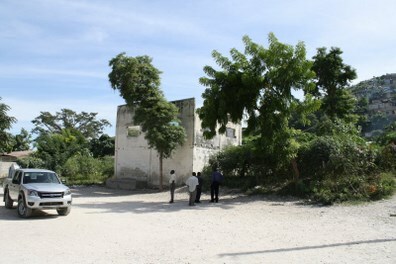 At one time it was also used as a primary school, but because the structure was unsafe, we stopped classes until the building could be repaired. This past August that became a reality. 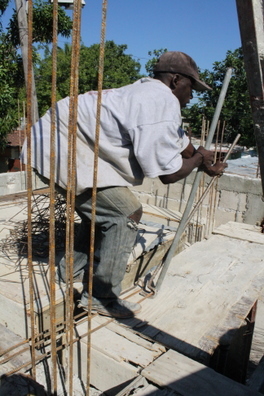 A team of people from several different nations, headed by our friends in Charlevoix, Michigan, came to Haiti to help put together the new building. At present the columns, beams, and roof are in place. Church is being held in the building as is, but we hope to have a concrete floor poured and walls put up before school starts in October. We are aiming to start a food program there as well. The earthquake and subsequent lack of decent living conditions have led to increased promiscuity, rapes and unwanted pregnancies. The nation is facing an impending crisis in this regard. Over the second weekend in August, we hosted our long overdue annual True Love Waits conference. 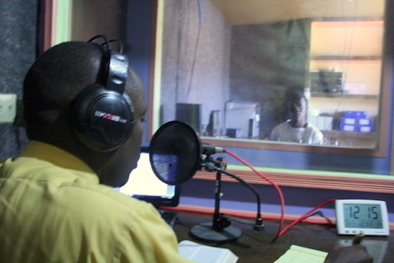 The sessions were packed with singles from Famille Tabernacle de Louange and other area churches. Over 900 people made a public commitment of sexual purity. It was a moving ceremony, especially as the group sang their commitment song: �I Have Decided to Live for the King.� Please pray that they will remain faithful. We are trusting God to take this program to as many tent cities as possible and hold one-day seminars in order to reach the thousands of young people and singles who need to hear this message. Breath of Life Christian Academy, our school in the rural mountain community of Taifer, was damaged and therefore not ideal for holding classes; many repairs will be needed. Several huge cracks in the walls have given easy access to the storage area there, and as a result almost all of our supplies have been stolen. Over the past months classes were held under temporary tent�like structures. By this October we are hoping to rebuild what was damaged, make the building secure, and restart the food program. The food program will be one of our major thrusts, because it will enable us to significantly increase our student body and thus educate more children in this poor rural community. Many students walk several hours one way to attend school, and without a meal, are not able to focus in class because they are so hungry. For many it would be the only meal they get in a day. It will cost around $3,000 per month to feed approximately 600 students. Click here to read older articles.